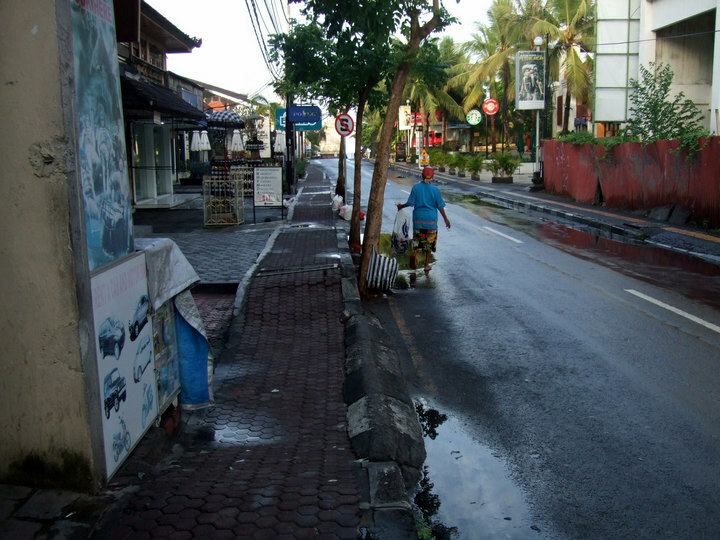 06.34 am – Jl Pantai Kuta in the morning. 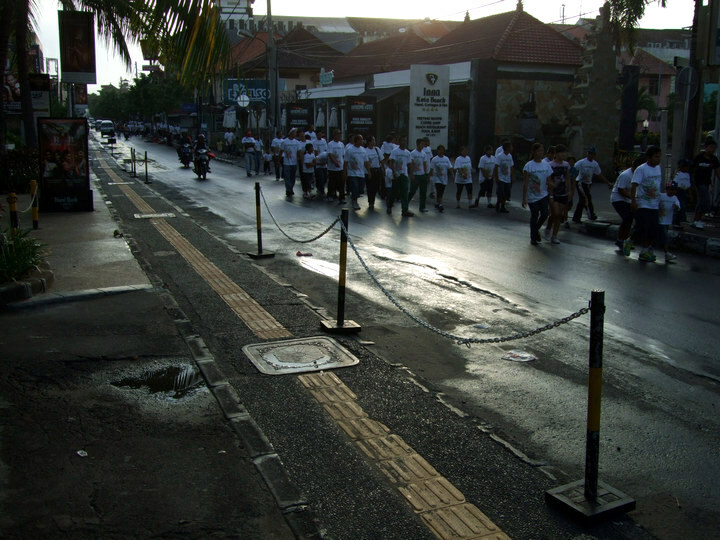 Family day for the employees of one of the hotels in Kuta. 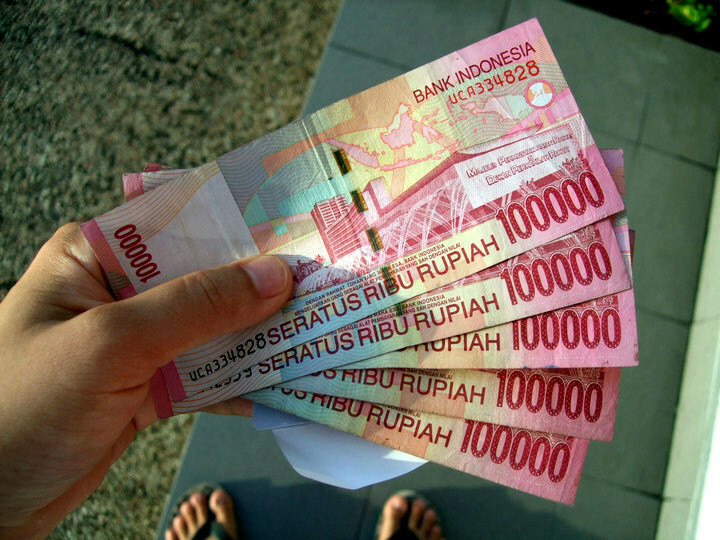 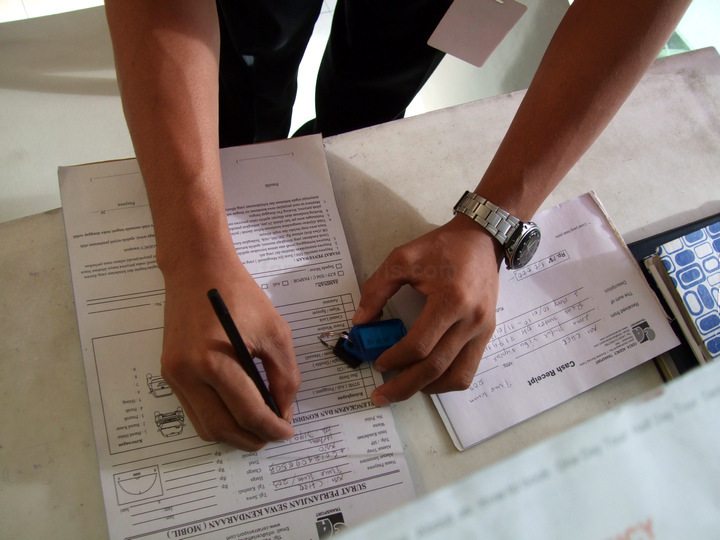 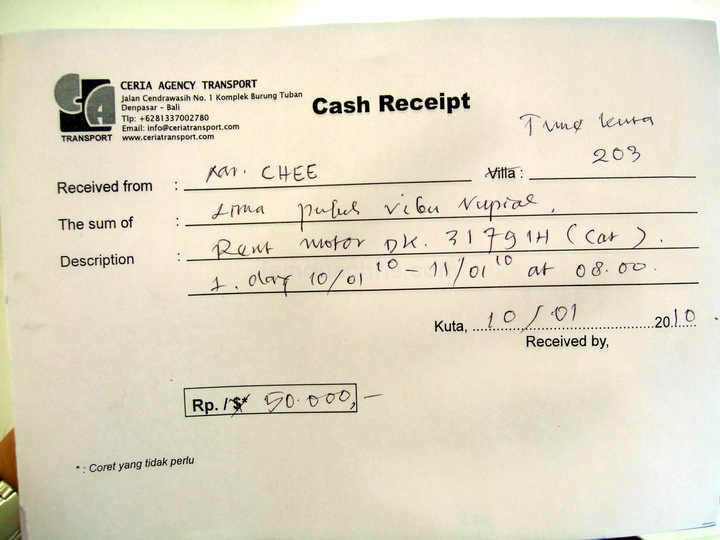 used my Visa card to withdraw an additional IDR 500,000. 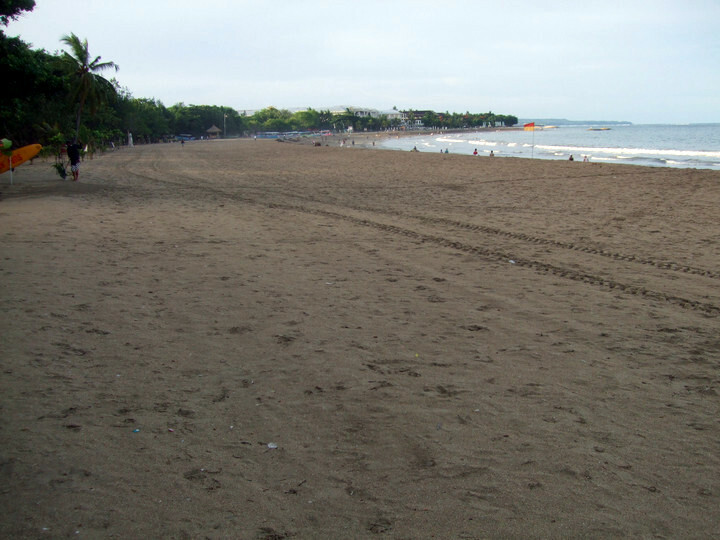 The very empty Pantai Kuta at 6.43am in the morning. 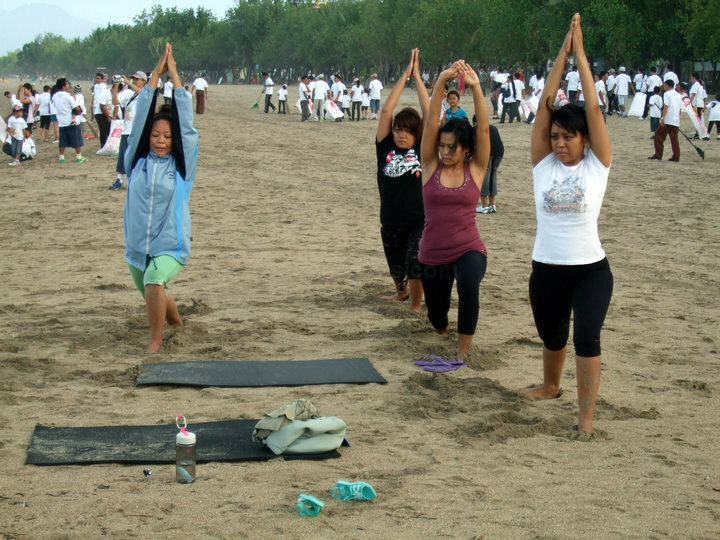 Indonesian women doing yoga in the morning. 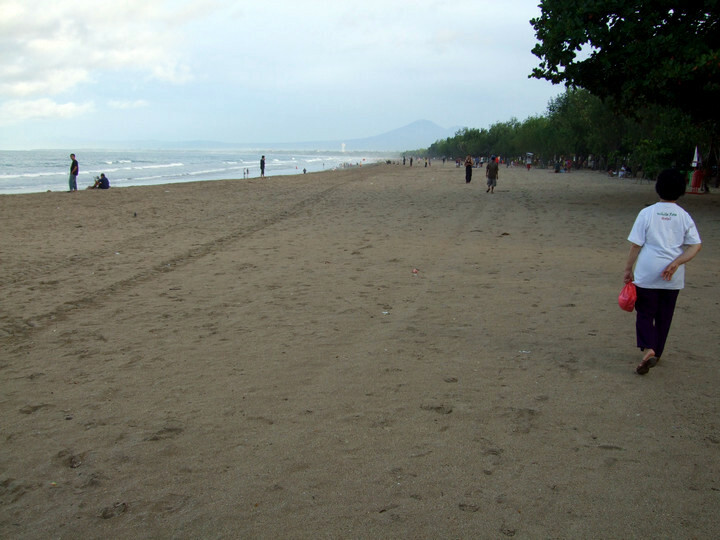 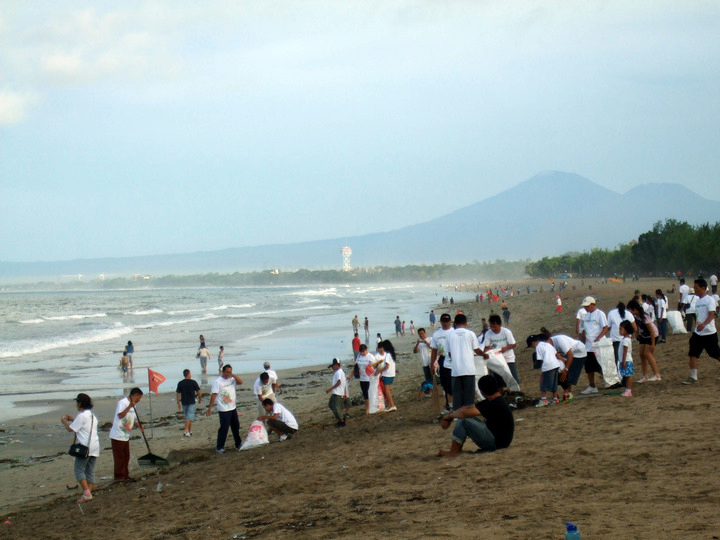 Family day = clean up Kuta beach day. 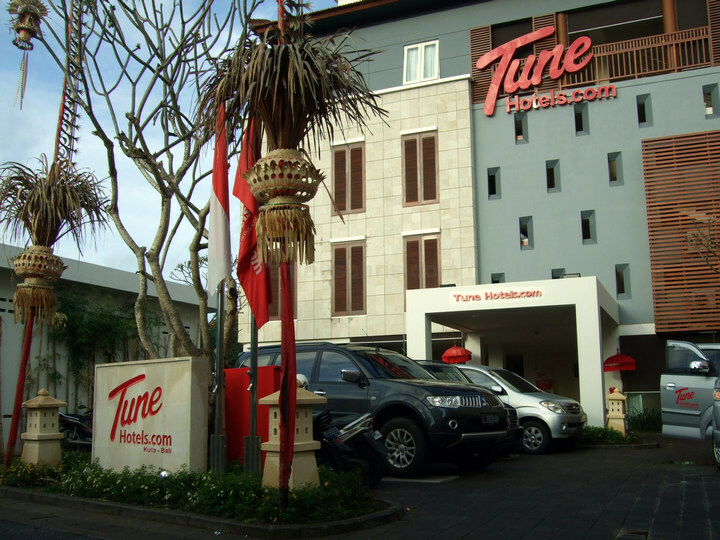 The entrance to Tune Hotels. 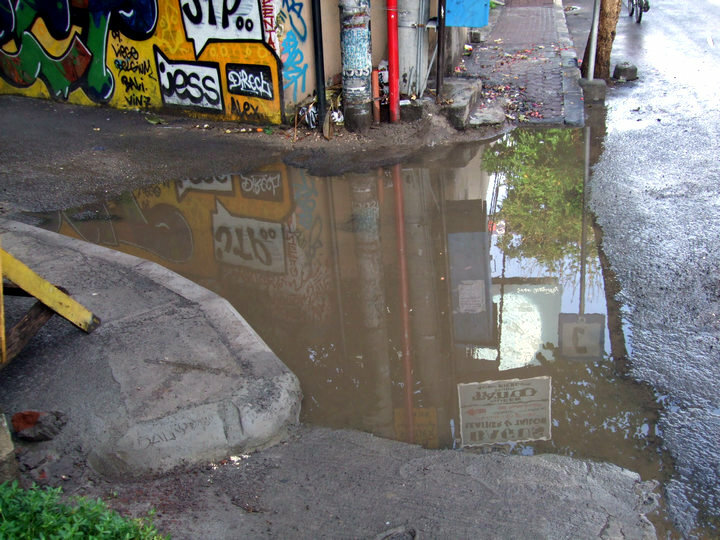 A pretty big water pocket from the rain last night. 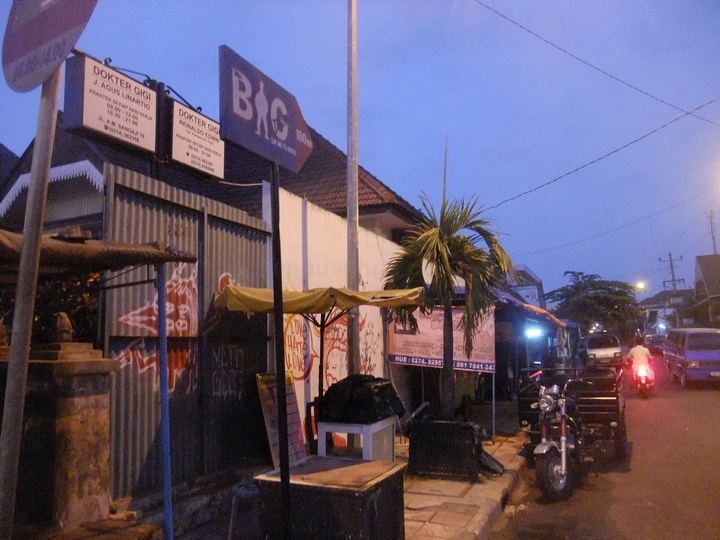 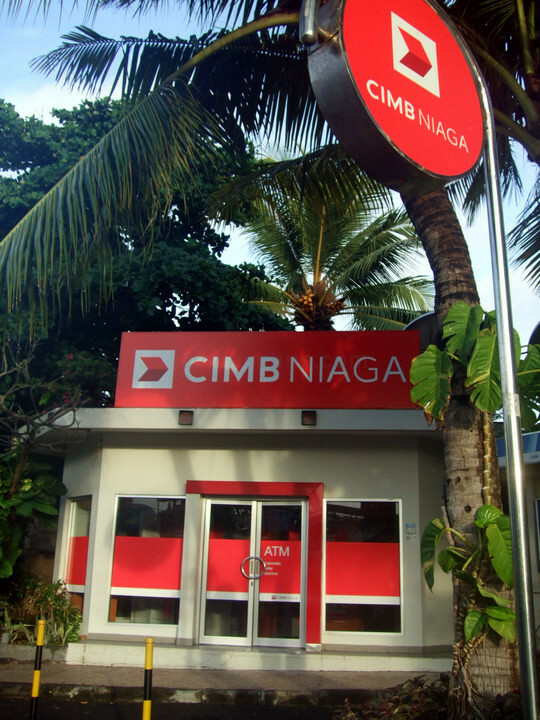 One of the most budget yet convenient hotel to stay in Kuta. 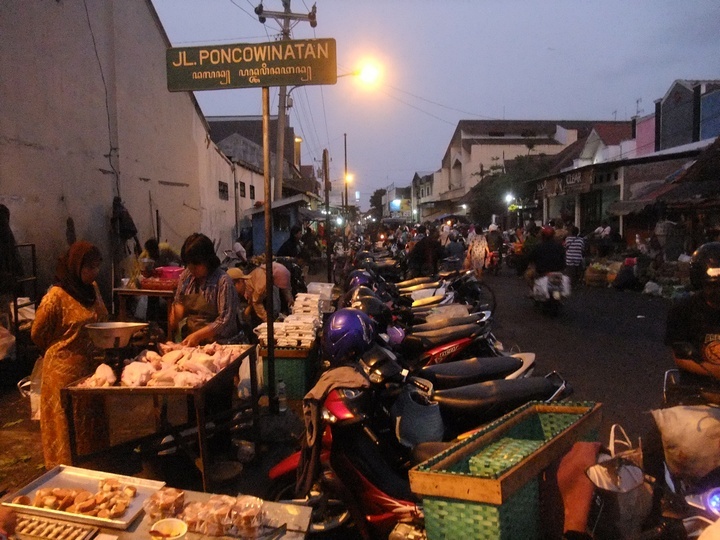 that rent out motorbikes for IDR 50,00 per 24 hours. 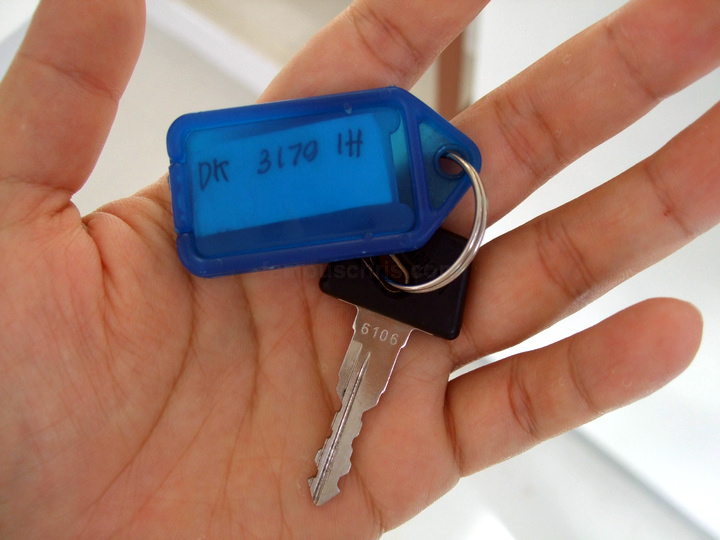 The key to my bike. 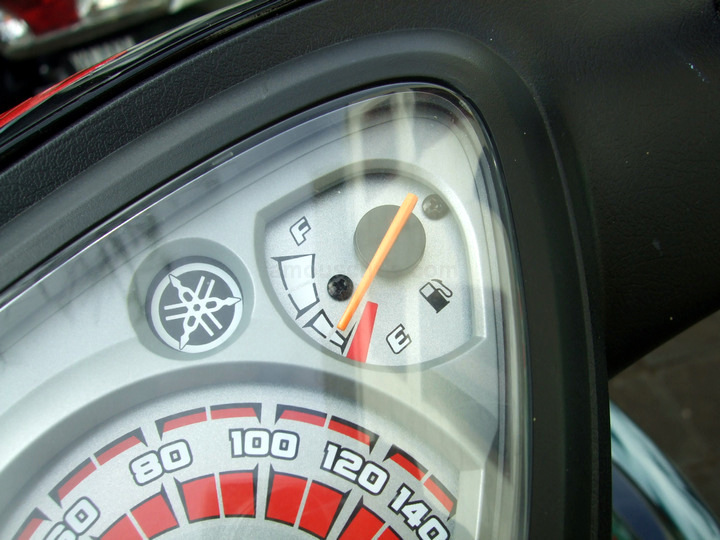 Had a bit of petrol left. 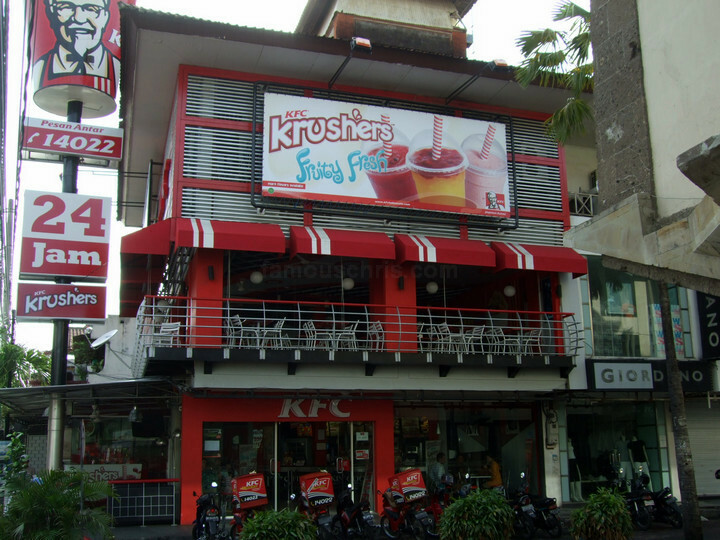 07.59 am – Went to KFC Kuta Square for breakfast. 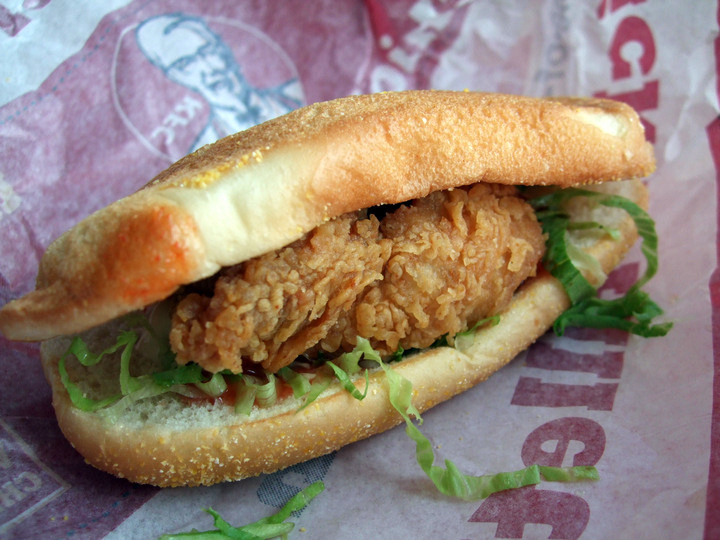 The Indonesian KFC menu doesn’t change as well. 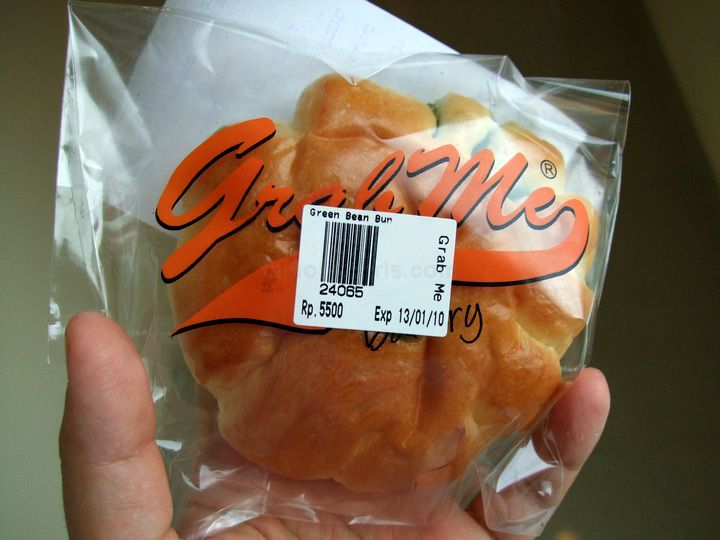 Bought an additional green bean bun for breakfast. 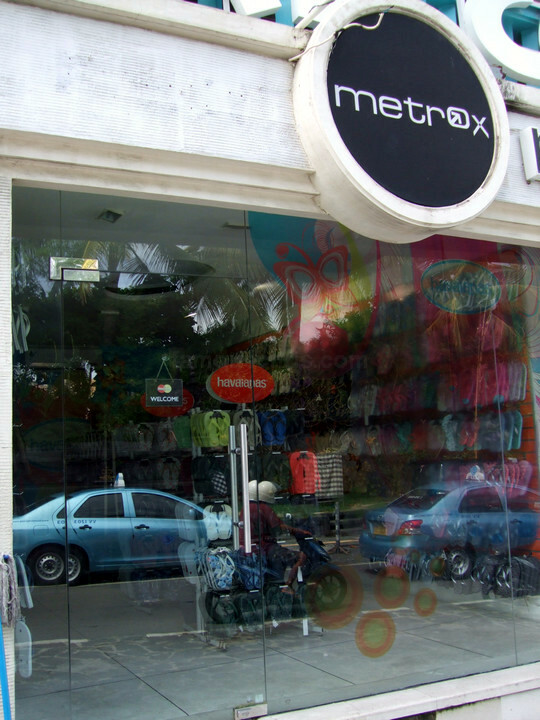 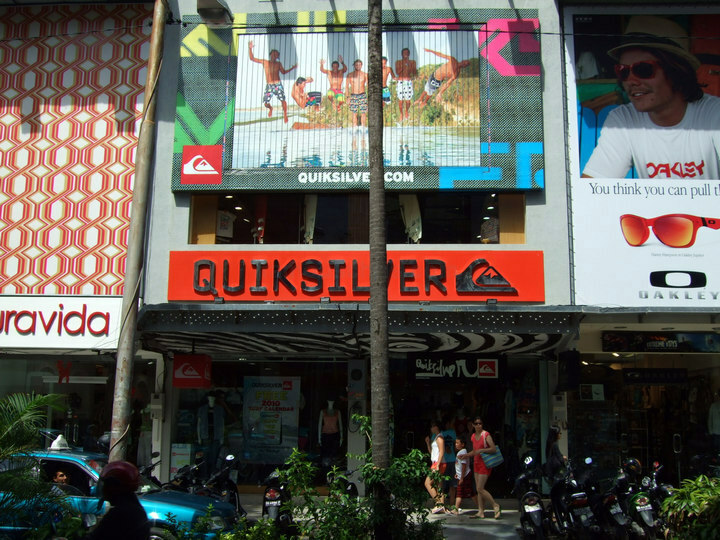 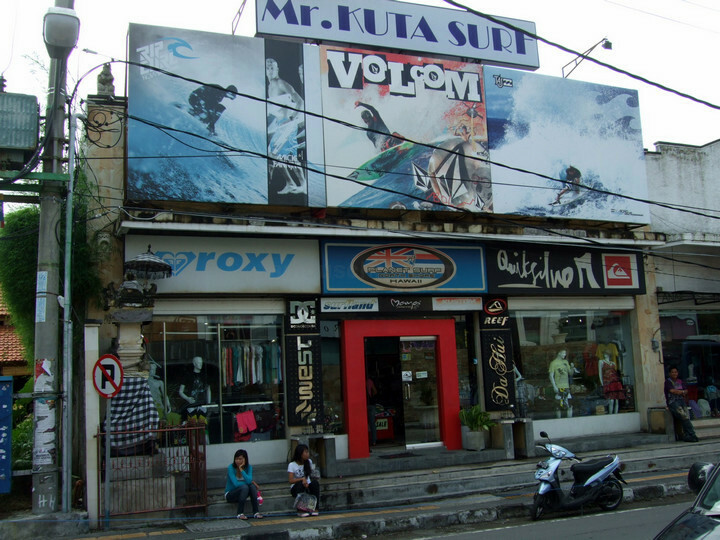 09.30 am – 1st stop, Mr Kuta Surf, a surf shop located directly opposite Discovery Mall. 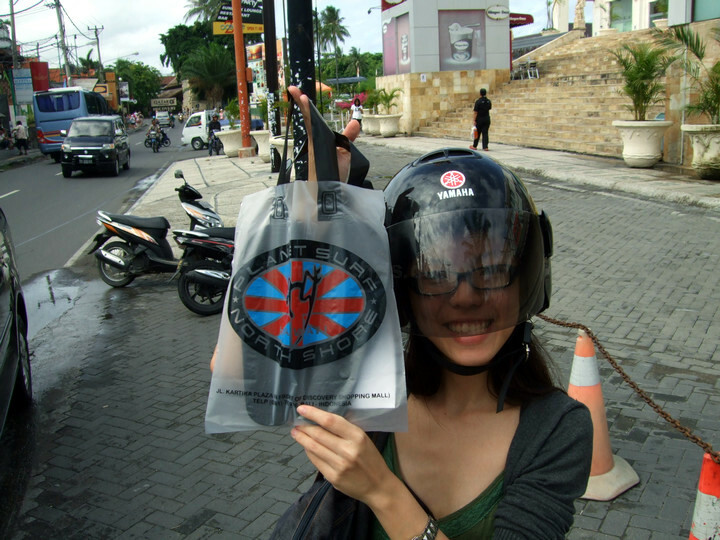 Vivian bought herself a pair of Roxy for IDR 135,000. 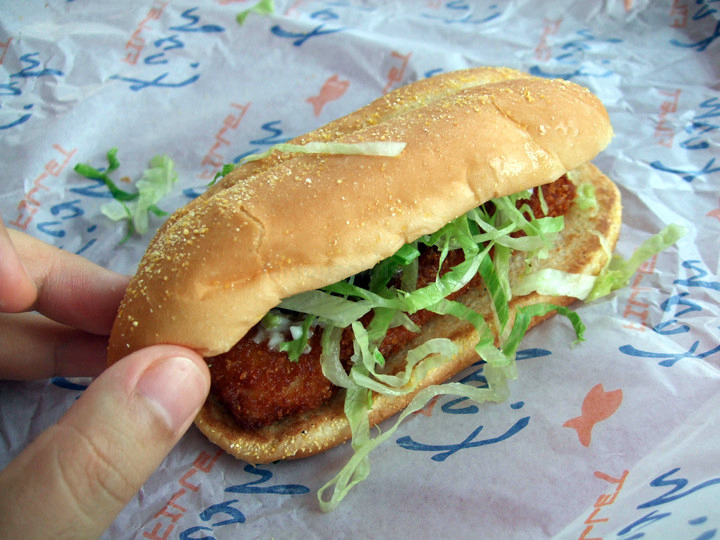 That’s like 60% the price of what you’d normally get back in Malaysia. 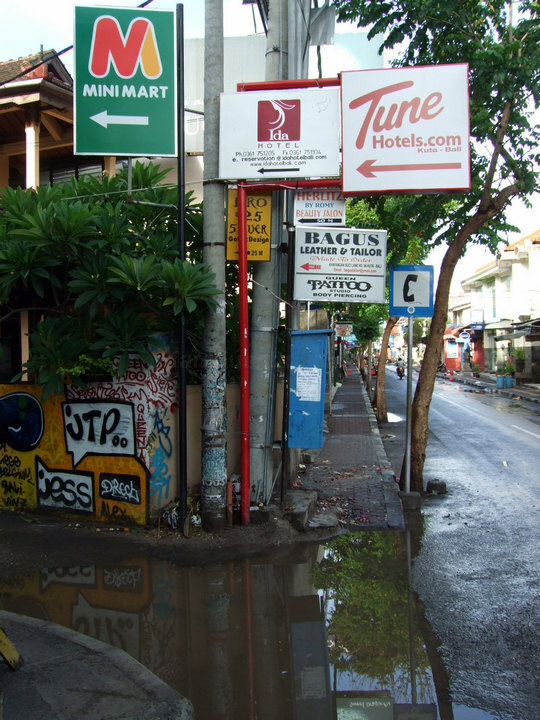 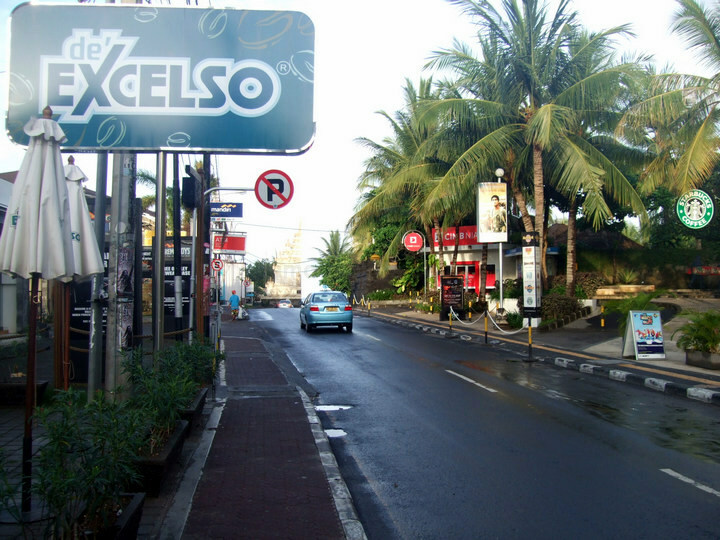 09.47 am – Next stop, Kuta Square. 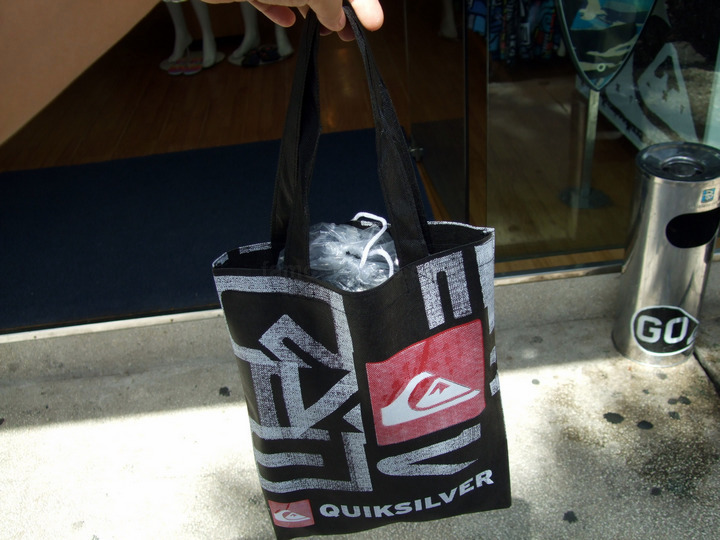 before deciding on a pair of Quicksilver. 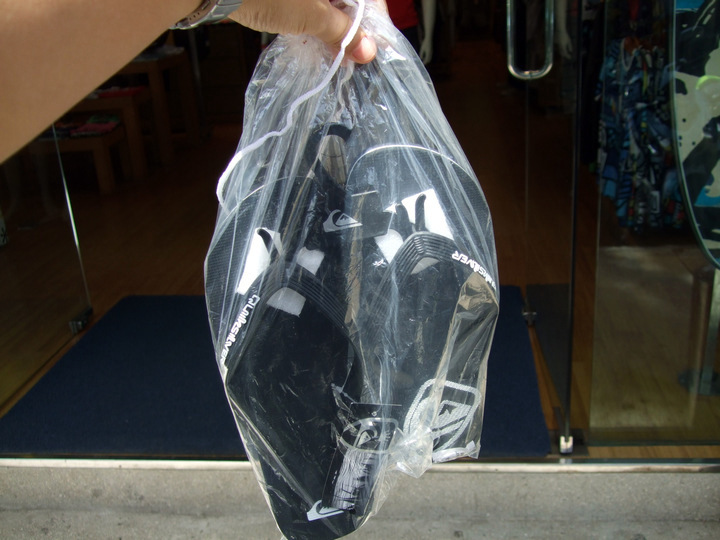 To be worn during Chinese New Year. 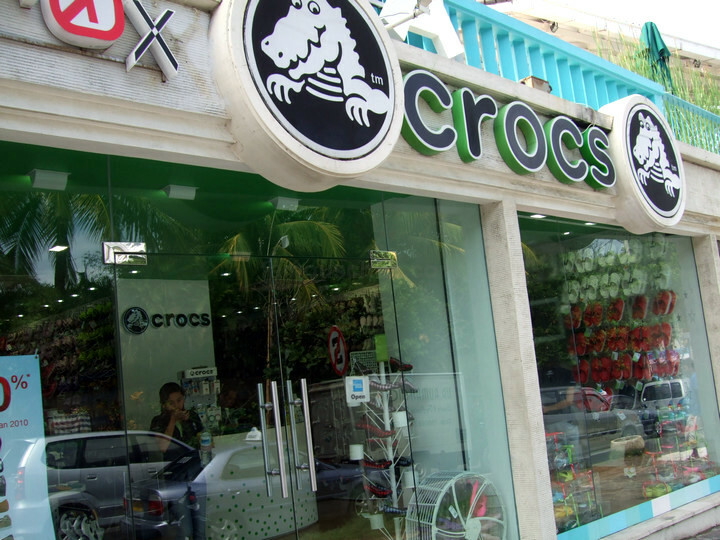 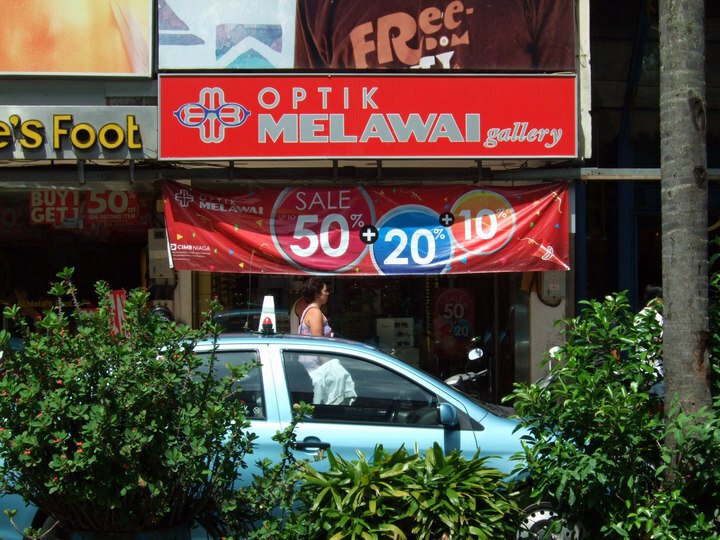 And then Vivian spotted an optical shop. 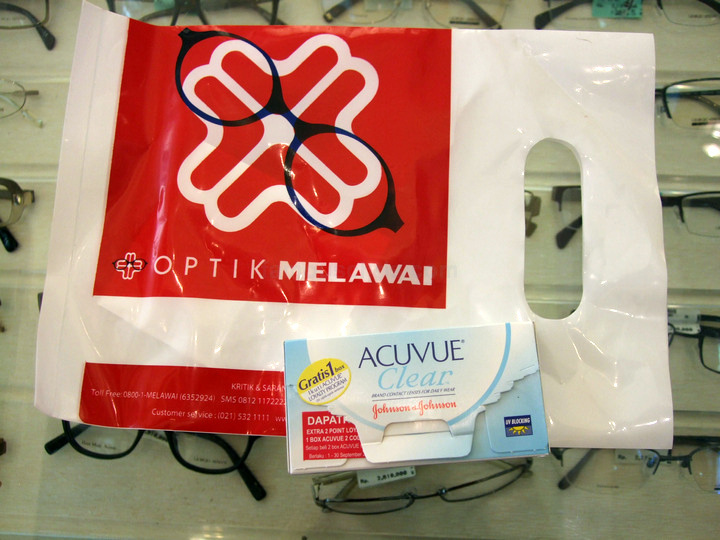 Bought herself a box of contacts as she lost one lens side when trying to wear it. 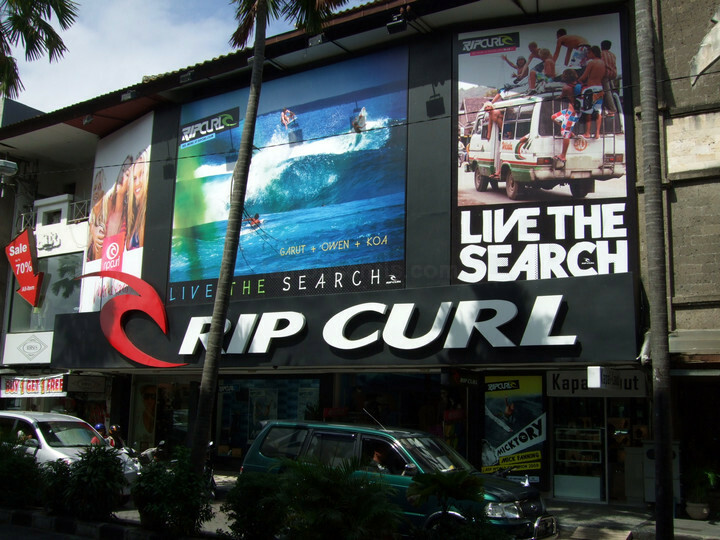 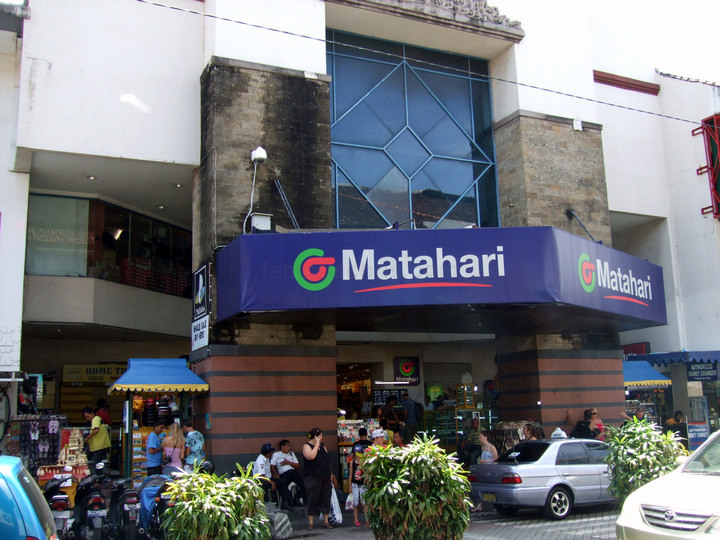 Went to Matahari Kuta Square to check out the items on sale. 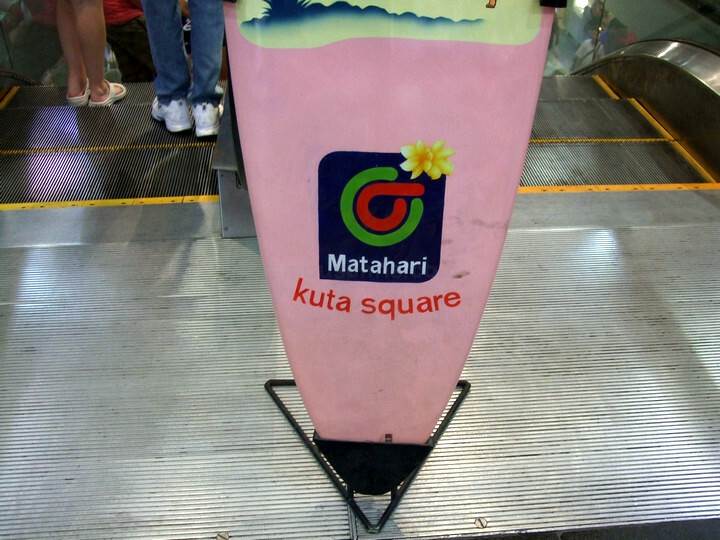 The surfboard by the elevator. 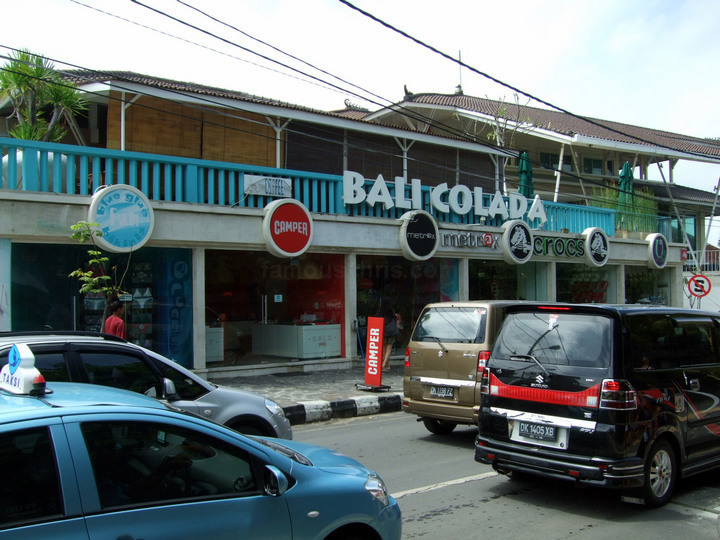 10.40 am – Next stop, a row of shophouses under the same management I suppose, called Bali Colada. 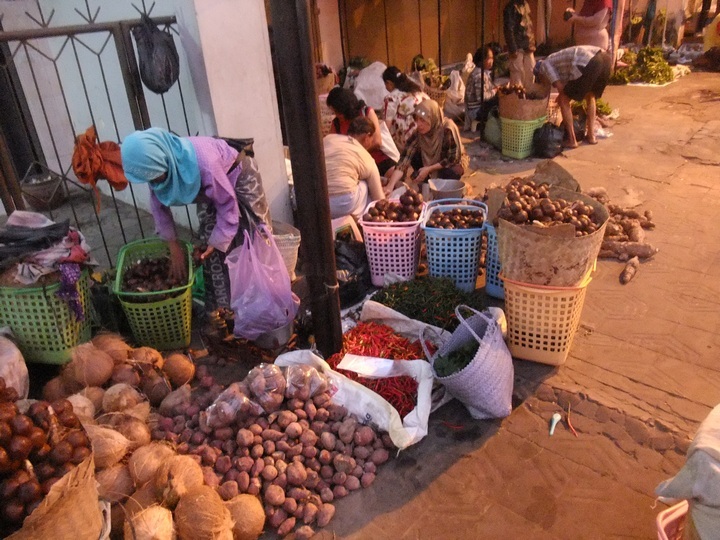 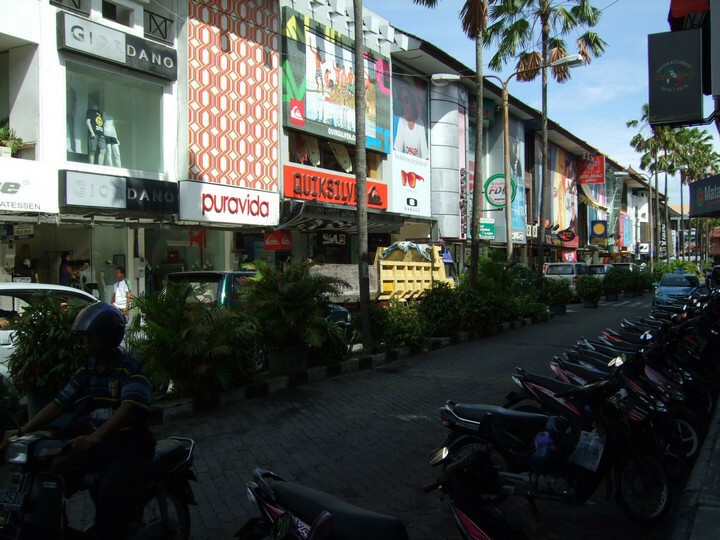 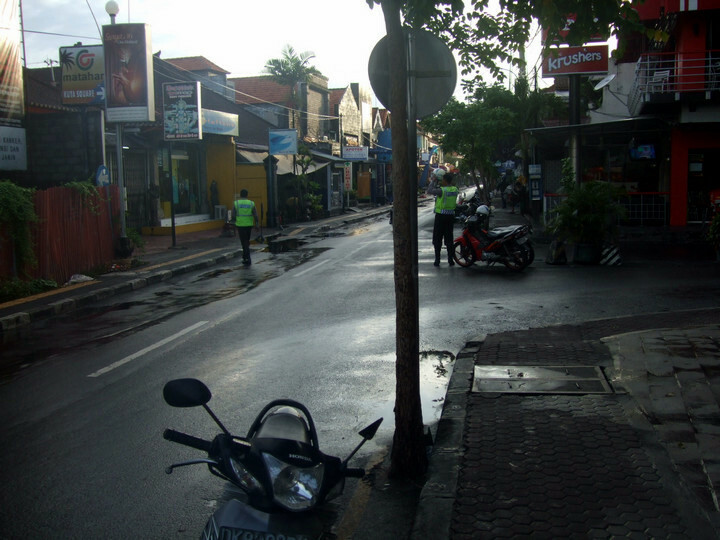 10.53 am – Drove over to Legian Art Market for additional shopping. 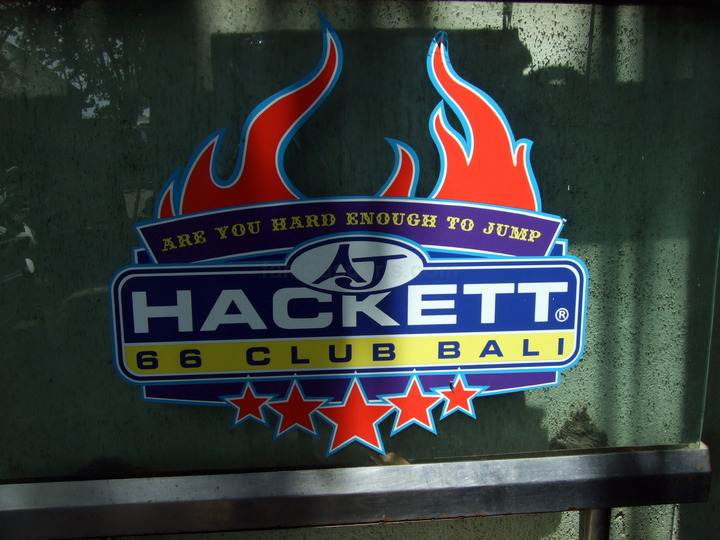 11.48 am – Somehow, I got lost and found my way to AJ Hackett of Bali.